Her appearance is classic, yet she possesses a traditional style of the culture, they call her Bahriyeli B and she was designed with pure comfort for yacht charter holidays in Turkey. 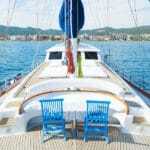 She is quite suitable for family gulet boat rentals and offers 8 cabins to accommodate up to 16 guests. Each of her cabins are equipped with air conditioners and en suites for guests’ private use. 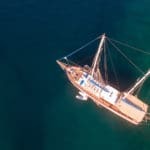 If you are a medium sized group, the Bahriyeli B gulet can offer you all the same as you do not have to fill up the allowable capacity for a ultimately pleasurable yacht holiday from Turkey. Based in the exciting harbor of Marmaris, this lovely gulet can take you to the many beautiful destinations in the Mediterranean or Aegean Greek Islands in the Dodecanese and Cyclades. 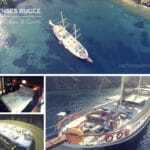 The Bahriyeli gulets are also know to offer longer yacht charter holidays to Crete. Of course this journey lasts two weeks and there is a great deal of open seas. However these gulets are sturdy and can handle lengthy charters in wide open waters in the Eastern Mediterranean. The most common and often preferred itineraries offered by the Bahriyeli fleet of gulets is from Marmaris to the Gulf of Fethiye return. Experienced crew, magical journey, splendid Turkish blue cruise dishes and plenty of space for unwinding, these classic Turkish boats are pretty much a landmark image in Marmaris. Boasting 40 meters in length, expect spacious deck space and a very roomy feel overall. A mini ship really. The Bahriyeli B gulet is well known by name and reputation for a fantastic gulet holiday experience from April to the end of October. 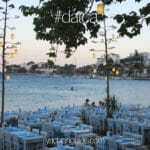 So if you have a large group – maybe a family reunion, a special event of another kind, or just a bunch of friends looking to explore the turquoise coast of Turkey, and may even some Greek Islands, a memorable yacht charter Turkey holiday on this gulet or anyone from the fleet – may be the right choice for your next holidays.